Desktop or mobile, coupons are only a message away! Qpongo's goal is to help you save money with every purchase you make online using coupon codes, promo codes, voucher codes and other discounts. We're a small group of developers (obviously no graphic designers) and have been focused on the task of gathering every coupon code in the world for many years now but we've kept our products private. This is the second one to unveil publically and we're pretty proud of it. We think that the 3rd on will change the world of online shopping! Give us a chance to help you with your next purchase. If something doesn't work the way you think it should then SEND FEEDBACK. If you want us to personally research some store or find you the best price on a product you want to buy then SEND FEEDBACK. We're always looking for real-world test cases. If we help then please LIKE every one of our pages and tell your friends :) -- the more people using our product the bettter it gets. EVERYTHING IS COMPLETELY AND TOTALLY FREE -- FOREVER! You can now get coupon and promo codes directly in your favorite chat window. You can also click the link to see many more coupons at Qpongo or review deals at similar sites. We feel that Qpongo will be the last coupon site you'll ever need but let us know if your not finding something or have a suggestion by using the ' Feedback' command. Qpongo's goal is to support every country and every language. Our Beta already supported more than 60 countries in 23 different languages, making Qpongo the largest coupon site in the world! To get started, just say Hello, Hola, Hallo, Привет, Allô, Ciao, 喂, もしもし, 여보세요, Hâlo, नमस्ते, Hallo, Hej, Cześć, Terve, Goddag, Jó napot, Γειά, Вітаю, Ahoj, שלום, Merhaba, namaste, Hej or whatever way you say 'Hi' in your language. You an also enter the name of a language. If the language is new then Qpongo will prompt you to change. You might also be prompted to choose a country so that Qpongo can more focus on your area. You could have also entered a country name from the start. Finally, you'll see that Qpongo is set for your country and language. Personalized subscriptions are another unique feature of Qpongo. 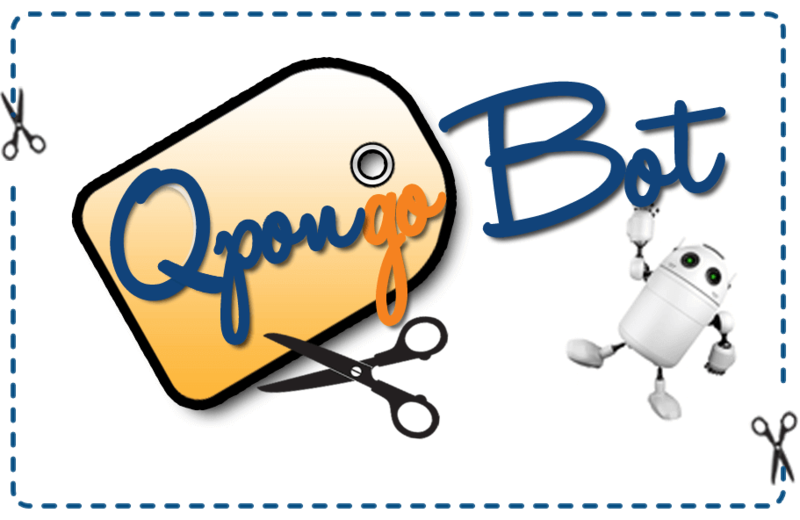 The Qpongo bots are always scanning for the latest coupons, deals, offers and vourcher promotions but it might be days or weeks between special promotions so we added a feature where you can subscribe to updates for specific sites. Review the suggested coupons then look for a button that says " Subscribe"
Congratulations! You'll be the first to know when new coupons are added.